Several years ago, I found myself Chasing The Cyclone of something I had never even considered possible: the international child abduction of my child under the rules of the Hague Convention. Let me say the horrific experience I, along with tens of thousands of other parents who find themselves Chasing The Cyclone of international child kidnapping face each year, is unlike anything you may ever imagine. I know this was the case for me, and I make part of my living writing multi-layered, complex stories of intrigue. You might be immediately saying to yourself that this issue has no bearing on your life. However, perhaps you should re-think this issue because a recent study conducted by the not-for-profit International Child Abduction Research & Enlightenment Foundation (I CARE Foundation) is pointing to the possibility that as many as 200,000 to 225,000 children living in North America will be internationally kidnapped over the next decade, and inconceivably, only 10% of these children are expected to ever come home. And that has nothing to do with the number of attempted international parental child abductions (IPCA), which numbers are expected to far exceed the actual international kidnappings exponentially. Now you may be asking yourself how could this possibly be? There are many reasons why the international child abduction rate is so high, and is growing well over 20% per year. One of the primary reasons for such a high number of abductions is because we are living in a global society, and individuals from different cultures and nations now, more than ever meet, fall in love, and eventually create a family. Divorce is an ugly part of the reality for many. Unfortunately, during times of separation in multi-cultural marriages, the parent who is a citizen of another nation often desires to return back to their native country. And when they do, they often desire to take their children of the marriage. However, knowing that a local court who has jurisdiction of the child or children of the marriage more than likely would not permit the children to be uprooted, nor deny the other parent their rights of custody, thousands upon thousands of parents quietly and carefully scheme to remove the child from the country without the other parent realizing what they are trying to do: abduct the child. Unfortunately, too many abducting parents are successful at their scheme because parents like myself, and perhaps you, never even considered this type of scheme. They are blindsided. Caught off guard. Ambushed. Being caught off guard is but one challenge a targeted parent has to face. But there are many others. And this includes a lack of stringent laws in the United States and Canada that allow for a parent or a court to act to prevent a child’s abduction. There are simply too many loopholes. And sadly, we really do have a judiciary that is uneducated about this issues and the extent of the severity of the crisis at hand that is destroying thousands of families each year. And this is why I decided to not just write Chasing The Cyclone (fiction), or The World Turned Upside Down (nonfiction resource guide on IPCA), but to do my part in raising social awareness of this issues at hand because no parent ever wants to find themselves Chasing The Cyclone of international parental child abduction. Particularly since the reality is that it is so difficult to find and bring your child home even with the courts and the full weight and support of your government behind you. What does 200,000 abducted children represent? Three professional football stadiums filled to capacity with innocent children suddenly disappearing. Or a human chain of children stretching from Los Angeles to San Diego and back again suddenly evaporating. Or 5,000 school buses filled with children taken. Gone forever. Are you outraged? I sure am. And I am not alone. You may be asking yourself what exactly is international parental child abduction? The answer is simple, but the remedies are complex, confusing, extreme, and difficult to navigate, thus, why it is anticipated that only 10% of America’s and North America’s children will ever return home. International parental child abduction occurs when one of a child’s parents illegally removes a child of a marriage or relationship out of the country without the other parent’s consent or court order, or, when a parent illegally detains a child in a foreign country without a court’s order or consent of the other parent. Under United States federal law, this act is also known as kidnapping as mandated by the International Parental Kidnapping Crimes Act. Additionally, every state has its own criminal laws that address this issue. Canadian and Mexican laws also make this a criminal act. The answer is rather simple: there was never a comprehensive study conducted and published that provided insight into the total number of international abductions until recently. The I CARE Foundation, which counts highly respected international child abduction prevention advocates and attorneys Joel S. Walter and Patricia M. Lee among other highly respected lawyers as Board of Director members, conducted an extensive research study on the issue of international child abduction. The study incorporated the total anticipated number of abductions by including the measurable yearly growth rate in ‘reported’ abduction cases and a measurable number of abductions that will occur directly related to yearly ‘unreported’ cases of abduction. According to the I CARE Foundation study, ‘reported’ and ‘unreported’ cases of international parental child abduction appears to be equal. There are a few other serious challenges for parents who are targeted to have their child abducted abroad that are worth noting. The first is that despite certain countries being a member of the Hague Convention, and having formally entered into an international treaty concurring IPCA, many nations including those in Asia, Africa, and the Middle East are not members of the Convention. In addition, nations that are members such, but not limited to Mexico, Brazil, and Germany are not complying members of the international treaty. Thus, it is near impossible to have a child ever returned home after their criminal abduction. Another challenge – and this really hurts – is that the entire cost associated with the recovery of your child – everything from legal fees in your state of local jurisdiction to hiring lawyers in the country your child was taken to, to the investigation teams you may need in order to find your child, to travel costs, etc., are all your burden despite the fact that your child’s criminal abduction is just that – a criminal abduction under the Federal International Parental Kidnapping Crimes Act as well various state criminal statutes. So if you do not have a large sum of money available to you, then your chances of recovering your child have been dramatically reduced. Now you may be thinking that all you need to do is get an arrest warrant out for the abductor. That is sound thinking. Except many countries do not uphold extradition orders when it comes to a parental abductor, and in certain countries (for example, the majority of nations in the Middle East), there are not criminal laws against a parental abductor (particularly if the abductor is a man). So, for all intensive purposes, extradition is not a solution. What is a solution is to make sure that your child never leaves to begin with. It is not easy; however, it is possible. Obviously education and awareness are key, and I have been on a personal mission to increase awareness for other parents so you may be able to protect your own child or help a friend or relative you know protect their child or children. I mean, 200,000 children over the next 10 years out of North America represents the anticipated number of children who will be successfully internationally stolen. The number of targeted children is exponentially larger. 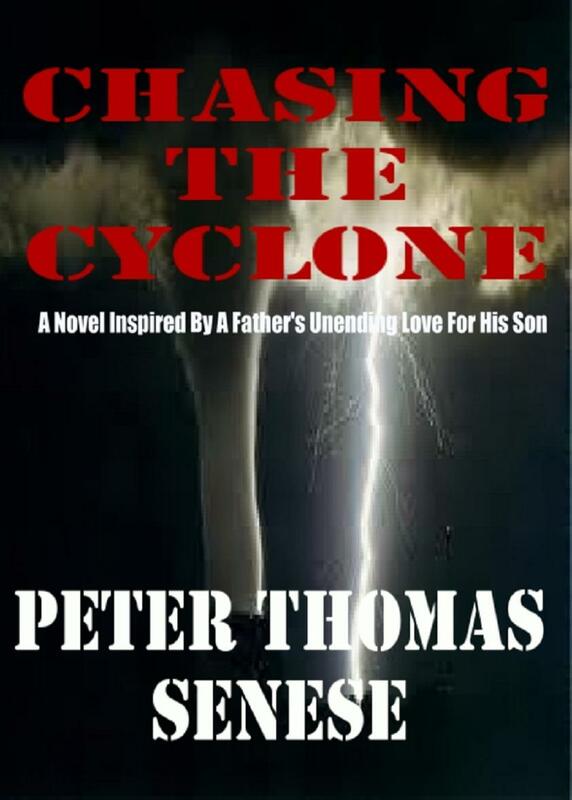 One of the ways that I have attempted to create awareness is by writing Chasing The Cyclone, and as shared herein, this lessons shared in my novel that was deeply inspired by my own experiences has helped other parents protect their children. Related Should Spanking be Used as a Form of Child Discipline? But book reviews alone don’t tell how severe a problem we now face. Again, 5,000 bus loads of children disappearing forever simply is not acceptable. The following are a few excerpts from testimonials on how Chasing The Cyclone has become a very useful aid for other parents (note: I am only removing the parents name in order to keep their privacy; however, each cited statement comes from a sworn testimonial and has been provided to the Health Moms Magazine site administrator for record keeping purposes). Related Healthy Brown-Bag Lunches Your Kids Will Love! Parent 5 added, “Chasing The Cyclone provided me with the necessary insight both my attorney and I required in order to prevent the international abduction of my children, but it has raised the bar of awareness for at risk parents like myself. God bless Peter Thomas Senese and the relentless work he does on behalf of parents. Well, there are no fool-proof warning signs that your spouse or ex-spouse is thinking of taking your child across international borders, with or without your permission and knowledge. However, there are in fact many signs and signals that can provide you with insight that your spouse or former spouse is intending to abduct with your child. Most of all, trust your instincts. If you have reason to believe that your spouse is in the process or is contemplating the abduction of your child, you must not wait: contact your local police and a lawyer familiar with family law and custody matters. You may need to file an ex parte (an Emergency without notice filing) motion to the court of jurisdiction where the child lives, seeking court intervention prior to when the abduction or wrongful retention occurs. Under most laws, the judge will have to hear your application so long as you present enough strong and credible evidence that your spouse or ex spouse is planning to take your child across state or international borders. Here’s a word to the wise from a parent who hopes you will never have to find yourself Chasing The Cyclone of IPCA: educate yourself and help support any initiatives that will help parents protect their babies from abduction. I have provided an extensive tutorial on IPCA at the Official Website of Chasing The Cyclone for your viewing pleasure. Peter Thomas Senese is a best-selling author and child advocate. 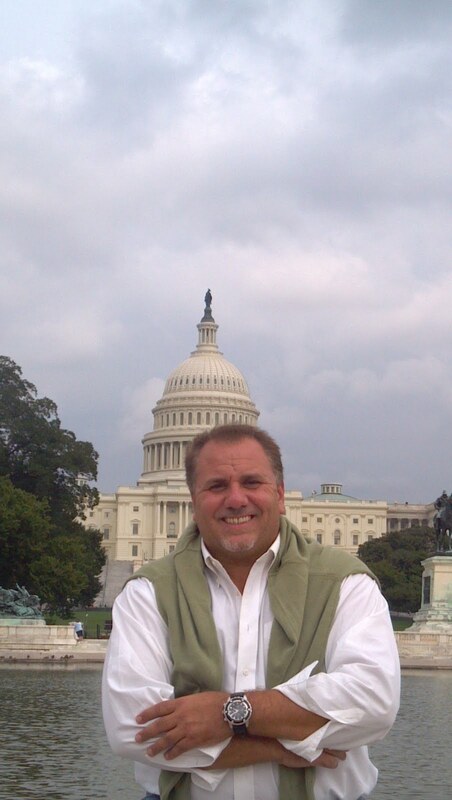 Mr. Senese is the Founding Director of the I CARE Foundation. He has written extensively on international parental child abduction, including the critically acclaimed novel inspired by his own experiences titled ‘Chasing The Cyclone’, and, the extensive resource guide on international parental child abduction titled ‘The World Turned Upside Down’. Mr. Senese has also written numerous articles on this issue, and has written and produced the educational documentary film on child abduction titled ‘Chasing Parents’. Mr. Senese has been highly involved in various legislative initiatives created to protect children from abduction, and has spoken at numerous tribunals about this issue. In addition, as a Board of Director of the I CARE Foundation, Mr. Senese is highly involved in various legislative initiatives intended to stop abduction. ‘Chasing The Cyclone’ is presently available in e-book and the hardcover will be available in May, 2012. Mr. Senese’s books include the inspirational Christian novel Cloning Christ and the geopolitical thriller The Den of the Assassin. Thank you for taking the time to write this article and share your insight with us. I am a mother at risk of having a child taken to Germany. My former spouse has sold his house, and appears to be liquidating his assets. He is a computer engineer, and is employable anywhere. His family lives in Germany, where he has property. And he has stated to me that he is going to go to Germany this summer with our two young children. At first I didn't think anything of it; however, after reading your article, everything makes sense: he's planning on relocating to Germany without my permission and in doing so, is planning on stealing my kids. I will write to you privately via the email on your website. God Bless you for sharing your insight. Mother of two spectacular children. Look forward to reading your book. International parental abduction is something I am and have been very interested in for years (as a parent and also a writer). Just as troubling, however—and probably adding to the cases of abduction—is the free reign given our court system to determine what serves as the child's best interest. Something as important as custody should not be decided by one person listening to a view biased people in a matter of a couple of hours. Personally, I am delighted to hear there was a happy ending in your case. Your work and information you have shared in invaluable. Not only have I learned so much, but practically speaking, you have given a great deal to think about as I am in the middle of a separation and my husband has deep connections and family in another country. Due to this, I will not share my name here. But I want you to know you opened my eyes. Thank you. I'm glad you decide to share this article! Thanks to Peter Thomas Senese and Chasing the Cyclone people will know more about IPCA. Thanks to the I CARE Foundation and their precious work! Thank you so much for raising awareness of the overlooked crime/child abuse of international parental child abduction. As a mother of two young girls (5 and 2 years old), who were targeted for abduction to Saudi Arabia, I am so encouraged that you are spreading the word to prevent this horrible crime and form of child abuse and to help support legislation to put safeguards in place to protect our children. Mr. Senese has personally assisted me in helping to prevent my girls from being abducted. I am forever grateful to him and the I CARE Foundation. They are the reason my girls are able to sleep safely every night at home in their beds. Thank you so much for sharing this critical information. I am appalled as to how uninformed the judicial system is regarding this travesty and how frequently it occurs. My gratitude to IPCA for their support and efforts and to Mr. Senese for illuminating the horror that ensues when a parent abducts a child. Thx for sharing such an important and interesting article. Thx again. Thank you so much for taking the time to put together this very important article about ICPA. As someone who had reason to fear this happening in the past, as well as later on doing my best to assist in cases of abduction I cannot explain how pertinent the work that Peter and the I Care Foundation is to change and strengthen legislature and educate in order to protect all children. I have had the great pleasure to become acquainted with Peter. He has assisted so many with his knowledge and works tirelessly to make the world a better and safer place for all children. His efforts, know-how, courage, and concern are absolutely invaluable to so many children's future. On behalf of the I CARE Foundation, I would llike to thank you for allowing Peter Thomas Senese's informative guest article. Clearly, in order to combat international child abdution, it is critical that parents become informed of the risk factors and issues at hand. And there is no denying that wonderful parenting writers like yourself hold the key to this education and awareness. Having known Peter Thomas Senese for nearly two decades, and having worked side by side with him at the I CARE Foundation as the self-funded non-profit organization continues to help parents of abduction, Peter's understanding of the issues of IPCA ore extraordinary. I was there when Peter's child was abducted and was part of the team as he successfully navigated the Hague Convention. From that time, I knew that he would try to make a difference, and there is no question that he, through his dedication to the I CARE Foundation, has done that. This guy is a scam artist, google him and you'll see…. Anonymous, thank you for your comment but your accusation is false. Peter is a published author and founder of the I Care Foundation. Go ahead and Google that.